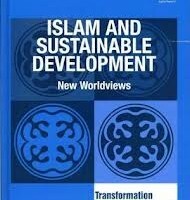 In a previous post, I raised concerns over what an Islamic worldview can realistically offer those looking for a new sustainability model. After reading Odeh Al Jayoussi’s book on the topic, I felt that there were a lot more lingering questions than answers. 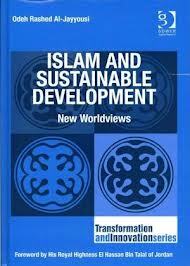 Would Islamic sustainability really be considered an option outside the Middle East? What about those wary of any religious-based doctrine? Also after years following the ‘Western model of sustainability’, did we really want to be promoting another universal model? 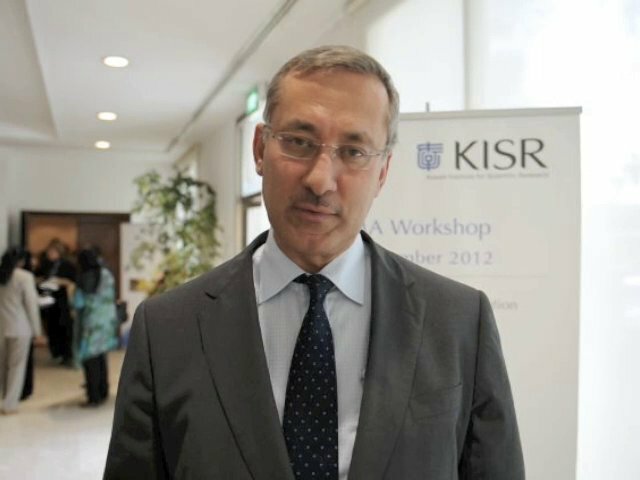 I caught up with Al Jayoussi, the current vice president of Jordan’s Royal Scientific Society, and put these very questions to him. Read on for his responses. Tell us a little about yourself, and how your work informed this book? Well, this journey started almost thirty years ago when the United Nations University were embarking on a project on water and Islam for which I drafted two chapters on this topics as well as international law and shared water resources. This included notions such as equity, Ihsan and this evolved into a new framework of sustainability. At the International Union for Conservation of Nature (ICUN) this developed further when I visited Yemen in 2004 and I was exposed to interesting notions of local knowledge and the early heritage in Yemen. I was fascinated with the contrast of the old and the new. That you could envisage the notion of unity within diversity. Also, the eight years I was privileged to work at ICUN I visited many parts of the world including India, Pakistan, Costa Rica, Europe, the Gulf States and Mexico. So I got to see different parts of the world and I was trying to reflect on the notion of sustainability and all of this went into the book. My work at ICUN was aimed at developing a new notion of sustainability based on local culture. I have some critique of the current, dominant model of sustainability which talks about the three pillars – the social, economic and ecological. I felt that the model lacked an embedded local culture and also a spiritual dimension. I was also looking for a topic which would help create a dialogue between East and West and I thought that the environment and ecosystems would be a great vehicle to communicate harmony and interconnectedness between these two. You bring Islam to the centre of the debate on sustainability – was it difficult to make that connection? Well, for me it wasn’t difficult at all. It’s all about how you view the world and I don’t see Islam as purely a religion but also as a worldview and a way of life. In that sense the aim of the book is to influence policy and enable scholars to talk to people and broaden their perspective from one which sees Islam just as a local religion to one which recognises that it is a worldview. It’s about looking at sustainability in a broader sense. Do you see the model that you have put forward as a universal model or something that is particularly suited to the Middle East- North Africa region? The intent is to present and articulate a universal discourse so that humanity can utilize Islam not only for harmony and tranquility but also for a dialogue to talk with others. We believe that Islam is mercy for the whole of humankind and is also a continuum of other religions and part of the human journey of knowing his destiny and having a sense of purpose and meaning. I can see that there will be a real difficulty in applying this model in the West where Islam is seen only as a religion. Do you agree? You are absolutely right. There is a difficulty in the West as there was a historical separation between church and state, man and woman etc. So this type of fragmentation was part of the Western journey in terms of knowledge. In this book, I was trying to look for unity or tawheed rather than separation and also looking at ways of overcoming this fragmentation. This includes the unity of disciplines, the unity of the now and hereafter, the unity between art and science – I was looking for synergies and complementary relationships rather than looking at things in pieces. There is a growing recognition in the West that the current development models are not fit for purpose and that the growth economy is destructive. Do you think that now is a good time to be promoting new models and frameworks? I think part of the challenge between East and West in terms of epistemology is two things – one is biology and the other is economic. In terms of biology we don’t agree with the West about evolution – we believe in creation and that man is dignified. The other dimension is money – the value of money and how it is generated in terms of interest. We believe that part of the ecological crisis stems from the fact that the current economic model doesn’t tells us the ecological truth as the metrics is based on GDP which as you know doesn’t reflect the wealth and health of nations or happiness. So we need to develop new metrics for sustainability or what I call the good life and so in order to define sustainability we need to define what a good life is. That’s why the notion sustainability needs to look at the notion of life generally to life with dignity, peace and harmony. Do you get a sense that this is already a shift occurring in the West? For example, you hear a lot about the Happiness index and the Green GDP as there is a greater recognition of the flaws of the GDP. Yes. I think it’s becoming increasingly clear that there is a need for a paradigm shift as the current economic model has a lot of flaws and defaults. During this interview and also in your book, you talk about the importance of a local connection yet you also want this model to be universal. Are you hoping that if nations looks to apply this model in say Latin America that they would bring their own, local culture and interpretation into it? Yes. In terms of the model and its universal applicability, it is all about unity within diversity. Part of that is talking to each other as we share the same destiny and there is a clear statement in the Qur’an which says that we are all created from nations and tribes so that we may get to know each other. So there is a universal message in the Qur’an which says that the prophet was sent as a mercy to the whole of mankind – not to Arabs or Muslims but to the whole humanity. However due to the degradation of civilisation we lost thing kind of universal message and we now it is time to revive a new discourse of universality and sustainability could the right medium through which we communicate this message. 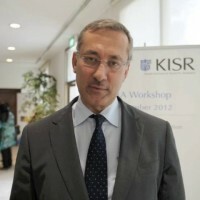 What would be the benefits for the MENA region if they adopt this model? I think that part of the challenge is that this part of this world was influenced by colonialism and after all these decades we are still affected by that way of thinking. Development in the South is mimicking and following the West in terms of consumerism and there is an disillusion in the Middle East that the Western model is the best model. This is a root cause of all sorts of social and ecological degradation and a general lack of human dignity. You cannot detach the issue of the environment from other issues such as poverty and social problems. So definitely this part of the world has been negatively impacted by following in the footsteps of the Western economic model and in a sense this part of the world lost its identity and has no pride or confidence in its local values. That’s why it has failed to have an ecological model that has local roots. Is that the reason between the gap between the principles and practice in reality? Absolutely, the Newtonian model looks at nature and plants as machines and part of the colonialism was that the region borrowing that type of thinking which brought with a whole host of problems. Now we need to revisit and rethink our whole social DNA and have our local roots in our local soil. What have the reactions to the book been like? I have had a lot of positive feedback from many scholars and people from the region and in Europe. Like you they were concerned with issues of relevancy, applicability and scalability. I think when we talk to people on a local level and with community organisations, there is real resonance and people appreciate notions such as Ihsan which is about inner beauty and unless we have that, we can reflect that onto the rest of the world. We can’t communicate harmony with the rest of the world if we don’t have an inner harmony. So having the right terminology is important and when I used the word hyat tayyebah which means a good life, it has more resonance within a local context. I think the real challenge is how we bring confidence and pride and a sense of appreciation of our local knowledge and I think in that area, a lot still needs to be done. Is it alright to put part of this on my blog if I include a reference to this web page?